Grand Rapids will reportedly undergo the first phase of a multiyear pedestrian safety campaign aimed at increasing awareness about pedestrian safety laws and decreasing the number of pedestrian-involved crashes and fatalities. The campaign officially launched earlier this week. According to MLive Media Group, Grand Rapids police officers will observe pedestrian/motorist interactions at 21 pedestrian- and vehicle-heavy crosswalks throughout the city during the first phase of the campaign. The first phase, which is reportedly funded by a $120,000 grant from the Michigan Office of Highway Safety Planning, is expected to last nearly two weeks. MLive.com also reports officials will survey Grand Rapids-area residents to gain insight into their awareness and perceptions of pedestrian safety laws. The information gathered during the first phase will reportedly be used to "develop a comprehensive plan that will achieve significant, lasting improvements in pedestrian safety," Second Wart City Commissioner Ruth Kelly told MLive Media Group. The city's pedestrian safety campaign comes on the heels of a report stating Kent County reported the third-highest number of pedestrian-involved motor vehicle crashes in the state with 790 incidents. Of the 790 pedestrian-involved crashes in Kent County between 2012 and 2015, 56 percent occurred in Grand Rapids, according to MLive Media Group. "Cars have not all of a sudden gotten less safe, and we're not all of a sudden worse drivers," state Rep. David LaGrand told MLive.com. "It's become OK for me to pull out my phone during a conversation because I just got a text message, where before that would have been considered rude. And that has been adopted into our car culture." LaGrand co-sponsored a bill earlier this year that aimed to ban the use of phones while driving, with the exception of voice-activated and hands-off technology such as speaker phone or Bluetooth. Ron Van Houten, a psychology professor and traffic and pedestrian safety expert at Western Michigan University, said the rise in pedestrian-involved crashes began about 3-4 years ago, and early 2017 totals indicate similar growth. Ofificals Monday said nearly 52 percent of the incidents over three years occurred at or near an intersection. Across the rest of the state, about 36.4 percent of crashes were at or near an intersection. There were 2,406 Michigan auto crashes involving pedestrians in 2014. These resulted in 1,962 injuries and 101 pedestrians killed in these accidents. 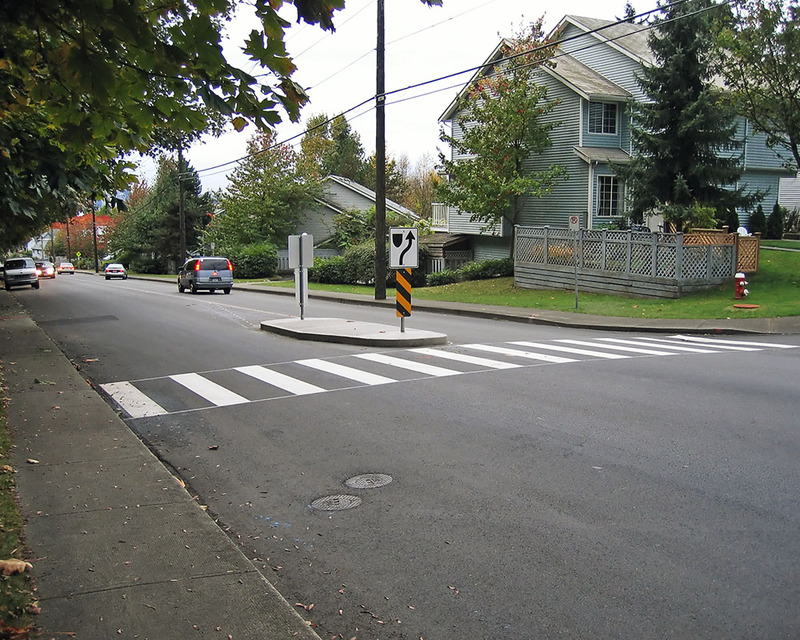 The most common pedestrian accident before a crash was not crossing at an intersection and this resulted in the highest number of fatalities. The highest percentage of accidents occurred between 6-7 p.m. If you or someone you know was the victim of a pedestrian accident in Michigan, you can download our FREE guide, "The Ultimate Michigan Pedestrian Accident Guide" by Lawrence J. Buckfire. This guide helps you understand your legal rights if you were injured in a pedestrian accident, and will explain the secret deadlines that will destroy your case if you delay in hiring a lawyer. The guide sells for $14.95 on Amazon, but you can download it immediately for free. We will represent you in your pedestrian accident case under our no-fee promise. This means that you will not be charged any legal fees whatsoever unless we obtain a settlement or recovery for you. You have absolutely no obligation for legal fees unless we win your case. If we do not obtain a settlement for you, you owe us nothing! Call (888) 797-8787 now to speak with our award-winning Michigan pedestrian accident lawyers about your case. We will explain your legal rights to you and help you file all of your claims with the proper insurance companies. It will cost you absolutely nothing to speak with an attorney about your situation so you have nothing to lose.